A retired former regional press journalist has written a series of short stories on the subject of loneliness. Brian Moore, has penned Lonely, a book in which he tackles what he calls “one of the scourges of modern times”. Brian, 75, contributed to the Western Daily Press, The Western Gazette and a host of west country newspapers and magazines for over 35 years. The book’s foreword was written by Dorset-based fundraiser and campaigner Della Jones MBE. She wrote: “The title of this book suggests it is a collection of eight very sad stories resulting in an unhappy read. The truth however is quite the opposite; in fact it proves to be a real heart-warming experience. 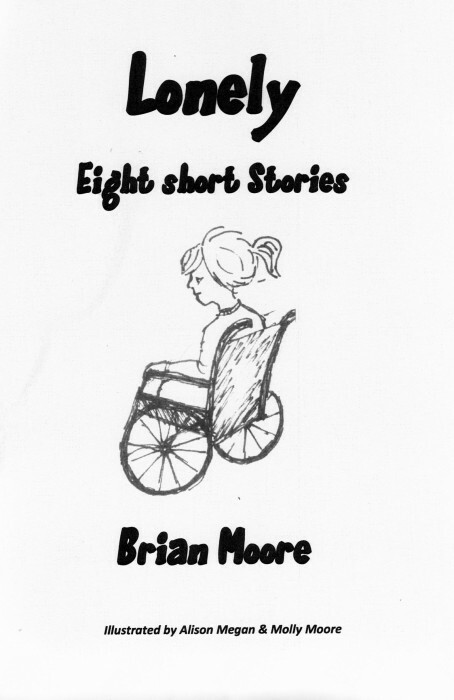 “Brian Moore has cleverly illustrated how loneliness can take many forms affecting people and animals in similar ways. Unless we have experienced loneliness we cannot begin to understand the desolation and emptiness of being alone with no-one to share our moments with. “These real life anecdotes are full of hope; challenging each of us to use our imagination as to what the final outcome might be. “The individual stories illustrate in a very clever way how much faith and love we all have within us, to share with each other if only we make the effort to find the way.